The income-tax (I-T) department has slapped a hefty tax demand notice on Aditya Birla group firm Grasim Industries, asking it to pay Rs 5,872 crore on account of the dividend distribution tax on Aditya Birla Capital shares that Grasim received after the demerger of Aditya Birla Capital from Aditya Birla Nuvo. In a statement to the stock exchanges, Grasim said the order was not tenable in law and the company was taking necessary action against the order. According to the company, the deputy commissioner of income tax (DCIT) issued a show-cause notice on February 11, which was subsequently revised on March 1, asking as to why the provisions of Section 115-0 read with Section 115-Q of the Income Tax Act, 1961, should not be applied to the allotment of equity shares by Aditya Birla Capital (ABCL) to the shareholders of the company. This was after the composite scheme of arrangement between Aditya Birla Nuvo and Grasim Industries and Aditya Birla Financial Services and their respective shareholders and creditors was approved by the National Company Law Tribunal's Ahmedabad bench. The DCIT held that the demerger of the demerged undertaking was not in compliance with Section 2(19AA) of the Act. "The company filed its detailed submissions in response to these notices," the company said. The DCIT said the value of shares allotted by ABCL to the shareholders of the company, in consideration of the transfer and vesting of the demerged undertaking into ABCL, amounted to dividend, within the meaning of the Act. The company, on March 15, received an order dated March 14, issued by the DCIT, raising a demand of Rs 5,872.13 crore on account of the dividend distribution tax (including interest), the company said. 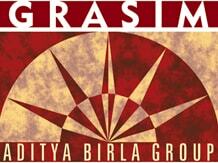 According to the demerger scheme announced on August 11, 2016, the shareholders of Aditya Birla Nuvo received three new shares of Grasim for 10 shares in ABNL. After the merger, every share in the "new Grasim" was entitled to seven shares in Aditya Birla Financial Services post its demerger. For example, a shareholder with 100 shares in ABNL received 30 shares of Grasim and 210 shares of ABFSL, whereas a shareholder with 100 shares in Grasim continued to hold those and in addition received 700 shares of ABFSL. Post-scheme, the "new Grasim" held a 57 per cent stake in the separately listed financial services business, while the rest of the stake was held on a proportionate basis by those acquire shares after the merger. At the time of demerger, the new Grasim was to hold a 60 per cent stake in UltraTech, 28 per cent in Idea Cellular and 51 per cent in the solar division. The scheme was then considered "complex" by analysts. The group chairman, Kumar Mangalam Birla, called the scheme a win-win deal for all the shareholders with new Grasim getting new-age businesses of Nuvo, while Aditya Birla Capital getting listed on the stock exchanges — thus unlocking value for the shareholders.